YouTube announced today that it’s going to cover the legal costs of copyright lawsuits facing a few videos that they believe are strong examples of fair use. This is one of those situations where good PR and good work actually coincide. According to YouTube’s statement, they will pay for the legal defense of a few videos they determine to be clear examples of fair use. Right now, that number is four (including a video by Naral Pro-Choice Ohio, Jim Sterling, and U.F.O Theater) but they might extend that offer to others in the future. Fair use—the use of copyrighted material without permission or payment for certain socially valuable purposes like criticism or commentary—is not a copyright infringement and is therefore not subject to a DMCA takedown. Under the DMCA, if you receive a takedown notice, you have the right to file a counterclaim which puts your work back up. Then the group that complained has to either let it go or go get a court order. Fair use is a reason to dispute a claim. One of the videos YouTube has chosen to champion is by Naral Pro-Choice Ohio, which shows members of the Ohio House Finance Committee asking two sixth grade girls there to testify about education funding whether they’d date their grandsons. The footage was taken from the Ohio Channel, since Ohio State House rules do not allow outside cameras into committee hearings. Naral Pro-Choice intersperses the video with slides commenting on the inappropriateness of the questions. After our video came out, it was seen by folks who objected to it. And the Ohio Channel posted a formal complaint with YouTube and we kind of assumed that we were going to basically lose that challenge. We knew that we had some room to post that video legally, but most of what we’d heard about people being challenged like this was when, for example, Viacom challenges people who posted clips from like The Daily Show or The Colbert Report and they are instantly taken down. And since the video was something that we were angry about but it wasn’t exactly within the scope of our mission statement, we figured once the video was challenged, it would be deleted and we would return to the job we were doing focusing on reproductive rights. The next thing after we heard that our video was being challenged was actually a response from YouTube saying that they’d reviewed it, they felt it was fair use of the source material, that we’d done everything right, and following that was the notification from them that they wanted to include our video in their project to demonstrate was fair use of video material looks like. The best part for YouTube is that the chances they’ll actually end up in court are relatively low. They’re picking clear fair use cases—Naral Pro-Choice Ohio’s video is commenting on the actions of public officials, for example—and once the other party finds out that YouTube has made that determination, they’re unlikely to want to fight them in court. Plus, if YouTube can show that the other party knew the video wasn’t infringing and lied about it on the notice they sent, the DMCA makes the person who filed the claim liable for damages, including attorney’s fees. Since the Ninth Circuit recently held that copyright holders have to make allowances for fair use before filing a DMCA claim, there’s even a chance they can actually show that. Fred von Lohmann, Google’s Copyright Legal Director, posted to YouTube’s official blog, saying, “We’ll continue to resist legally unsupported DMCA takedowns as part of our normal processes.” That’s commendable, and YouTube’s pushback against DMCA notices which fail to adequately explain why something that appears to be fair use should be taken down is more than a lot of companies are willing to do. 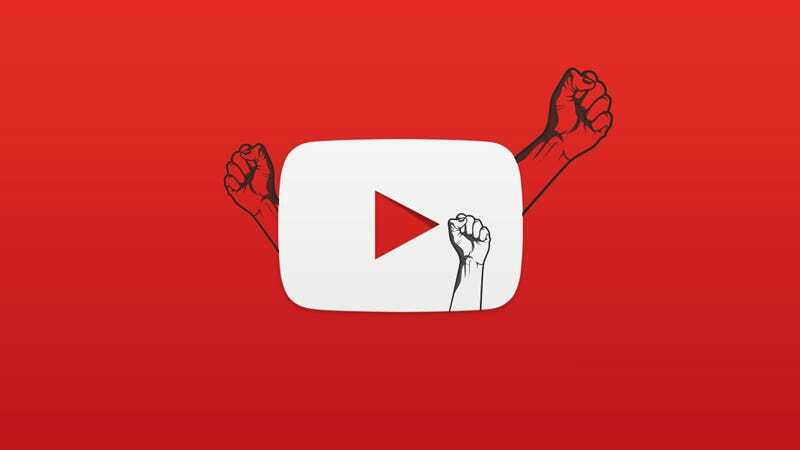 One of YouTube’s stated hopes is that, by putting the videos it’s agreed to defend in its Copyright Center, they could “create a ‘demo reel’ that will help the YouTube community and copyright owners alike better understand what fair use looks like online and develop best practices as a community.” That understanding is sorely needed, but YouTube could also stand to explain their own processes better. For example, YouTube has a “three-strikes” policy to satisfy the DMCA’s “repeat infringers” requirement. Three copyright strikes leads to the permanent disabling of your account. According to YouTube’s page, a DMCA claim results in a strike but “most copyright claims don’t result in a strike,” which is utterly confusing. What that appears to mean is that copyright holders can use the Content ID system to say they own something used in a video, but only a DMCA notice issues a strike. Or maybe it means that YouTube doesn’t issue a strike for the DMCA claims they find deficient. YouTube’s Copyright Center has a ton of links to other pages, and not all of them make clear that you can dispute things for fair use reasons. The Content ID page, for example, says you can dispute something if you “have the required rights” or believe the work has been “misidentified.” “Have the required rights” doesn’t sound like fair use to the average person. You have to click through to another page which then says, “You may want to learn more about fair use or the public domain before you choose to dispute for either of those reasons.” But the first page doesn’t make clear that fair use is a reason you can dispute a claim. What YouTube is doing draws attention to fair use and to the counterclaim process, hopefully educating people along the way. It balances the scales on a law that has too long restricted people’s legal use of material. And it’s an excellent PR move on YouTube’s part that makes them more attractive to the kinds of video producers that make them money. More companies need to start allying themselves with users rather than kowtowing to rights holders.